9 Main Barriers to Widespread Cryptocurrency Adoption — Schipke'd it. So why is there so much pressure on cryptocurrency and the powerhouse technology behind it? We’ve reached the peak of inflated expectations with blockchain being touted as a solution to all the world’s ills. In fact, one of the main barriers to mass cryptocurrency adoption may simply be that we’ve marketed it too much–with little substance to back up our claims. According to a recent survey by Deloitte, “blockchain fatigue” is starting to set in around the world. But beyond the fact that people are bored of hearing about this digital money they don’t fully understand, there are plenty of other barriers to mass cryptocurrency adoption. Let’s take a look at the top nine. When we hear claims that blockchain is immutable, then later read that it isn’t really, or that Bitcoin is anonymous, but not as anonymous as we thought it was, blockchain becomes shrouded in mist. There’s a lack of clarity from the cryptocurrency community and regulatory indecision isn’t helping. If the people in charge of protecting investors can’t decide what to call the tokens they’re regulating, how is the public supposed to know? What’s the difference between a utility token, security token, and equity token, anyway–and why do you have to store your invisible money in a physical hardware wallet? A lot of these questions are hard for crypto insiders to answer, let alone the layperson who’s receiving a watered-down version of explanations. 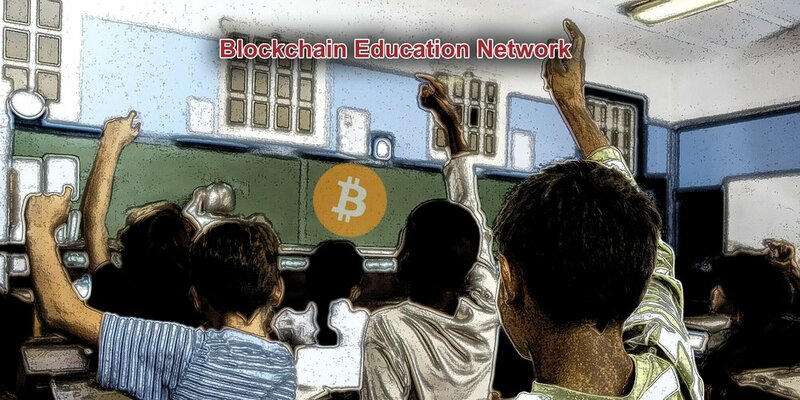 Smaller countries like Malta are launching programs to educate the general public, particularly the people who will use blockchain tech on a daily basis, such as government employees. Other countries, including Ireland and Australia, are working to create Ph.D.s and other university courses in blockchain technology. They’re also going into schools at an early age to encourage children to spark an interest in programming. And companies like ConsenSys are offering crossover courses in the Ethereum blockchain to developers, mathematicians, computer scientists, and enthusiasts from other disciplines who want to explore this new technology. There are also a number of courses online, including free podcasts, and YouTube tutorials. But until we can tighten the narrative, stop selling the emperor’s new clothes, and start on useful education initiatives to provide much-needed clarity, widespread cryptocurrency adoption is still a long way off. There’s something like 1,800 cryptocurrencies currently listed on Coinmarketcap. Not all are created equal, nor intend mass adoption (some are for gamers, others for agriculture, others still for music or art). Many of them show extraordinary promise and rock-solid theories, use cases, and community support. But there are plenty more companies launching tokens purely to raise funds. Until we cut out the useless cryptos and improve interoperability between blockchains, mass cryptocurrency adoption will be hard. With so many on offer, how do people with little experience know which ones to buy or whether one will emerge stronger than the rest? Moreover, if the point of cryptocurrency was to allow for borderless, frictionless, peer-to-peer payments, why do we need so many? There are only 180 government-issued currencies, so aren’t we complicating things a little too much? If you’ve ever shown your Grandma how to send a text or stop your parents signing off with their name on Facebook, you’ll know that getting them to save private keys and public addresses may be a little hard. The majority of the crypto community may not mind the complexities of entering in 42-character addresses or securing private keys. But the wider public does. The reason the cybercrime industry is so prolific is that we continually opt for convenience over security. We choose simple passwords that are easy to crack, stay logged into our sessions, or sign up for new accounts using Facebook. Making cryptocurrency transactions smoother and account creation simpler remains a barrier to mass cryptocurrency adoption. Many people are currently put off by having to upload a selfie with their ID card, but as regulators get tougher on KYC/AML requirements, usability will continue to be a hurdle. Scalability is a thorn in many a developer’s side, and an extremely prickly one at that. The Ethereum network can still only support around 15 transactions per second. Bitcoin’s maximum transaction processing capacity is somewhere between 3-7 per second. While other blockchains such as NEO or non-blockchains like the DAG are offering new solutions, they don’t come without their own challenges. We can’t support mass adoption of cryptocurrencies when it takes 10 minutes or more for a transaction to clear. Scaling to onboard more users is one of the greatest challenges there is. But if we think back to electricity, then that’s actually okay. After all, we’re still waiting to connect the rest of the world to the energy grid. 2 billion people around the globe are still waiting for an internet connection. So, it’s unlikely that mass cryptocurrency adoption will happen any time soon. The technology needs time to mature and figure out solutions to its problems first. Just as bad news always makes the headlines, the media is filled with stories of cryptocurrency exchanges being hacked and investors losing their funds. Since there’s no insurance policy on most exchanges or clear regulation in place, your money could be there one day and gone the next. Think Mt. Gox, Bitfinex, or The DAO. Then there are the ICO scams happening on a far-too-frequent basis. OneCoin will go down in history as one of the most sophisticated Ponzi schemes ever invented and exit scams are rife. The SEC is trying to educate people in the US on these types of problems through initiatives such as the HoweyCoin scam. This is to show investors the possible red flags to watch for when backing an ICO. Tighter regulation will weed out more fake ICOs. In fact, Malta’s latest laws have some of the strictest requirements for white papers out there to purposely remove bad actors from the space. You may be a fan of Bitcoin, Ethereum, Litecoin, or Cardano. But you have to admit, none of them come close to being effective as a means of everyday currency. Even Dash still fluctuates far too much to make large purchases with confidence (unless you’re living in a country with hyperinflation). If we’re to use cryptocurrency as a currency and not an investment vehicle, we need to lose the volatility. Bitcoin was part of the reason that the Silk Road grew to its dizzy heights of fame selling drugs, weapons, and even hitmen online. Thanks to money laundering, terrorist financing, and other criminal activity, Bitcoin earned a sketchy reputation. In fact, Bitcoin was also the most popular payment method for cybercriminals in Ransomware attacks in 2017. And now cryptojacking is the biggest cyber threat this year, growing by 8,500 percent in Q4 of 2017. While it’s true that not all ICOs are scams, not all cryptocurrency funds are hacked, and most criminals prefer the US dollar to launder money, the negative associations still linger on. Regulation, or rather, lack of regulation is still keeping many people away. We’ve seen some major moves this year from ICOs to STOs, and new legislation from smaller countries like Malta, but there are still far too many gray areas. And of course, there’s too much disagreement between jurisdictions. While setting a global standard in regulation may not be possible (or even desirable), at least a basic agreement on KYC/AML practices could prevent further crime and encourage more people to enter the space. Nearly three in four millennials would pay extra for sustainable goods. There’s never been a generation as conscious about the environment as millennials. But while reports of Bitcoin mining’s disastrous effects on the environment and draining natural resources are rife, crypto remains a hard sell. Sustainable mining is another problem developers are working on. Proof of Stake could be a viable solution, but it’s less secure and more prone to centralization than Proof of Work. While countries like Canada and Iceland allow for cryptocurrency mining using sustainable energy resources, we need to do a better job of reducing the amount of computational power that blockchains need to run. There are plenty of barriers to mass cryptocurrency adoption. Even just changing a mindset and a culture takes time. Blockchain may be slow and clunky right now, but it’s only been just over a decade since the smartphone appeared on the scene (remember your Nokia brick?). Cryptocurrency will enter the mainstream, but the technology needs to be better, faster, more sustainable, and easier to use before it does.